"We′re living in a time of fundamental change. It′s not our learned skills that will come to the rescue, but who we know and how they can help. The most brilliant will not fare as well as the most deeply connected. Leslie is generous enough to share that wisdom. Everyone should take notice, because she′s dead–on right!" "Leslie is the new Dale Carnegie. Her book teaches when you help others to succeed, you will succeed right along with them in business and in life. It′s not only about influencing people, it′s about helping people be the best they can be." "Over several years, I watched in amazement as Leslie Grossman cast her magical spell on audiences. Now she has delivered the perfect book for anyone interested in succeeding: linking out is the right model for the times and I′m so glad she′s in my entourage!" "Once I started reading Link Out, I couldn′t put it down. The book is a combination of personal experiences, insights, compelling stories, and sound advice mixed with a large dose of passion. Anyone can ′link out′; after you read this book, just imagine what it would be like if everyone did." "Leadership is relationships. In her beautifully written book, Grossman reminds us that email, texts, and social media are not enough. 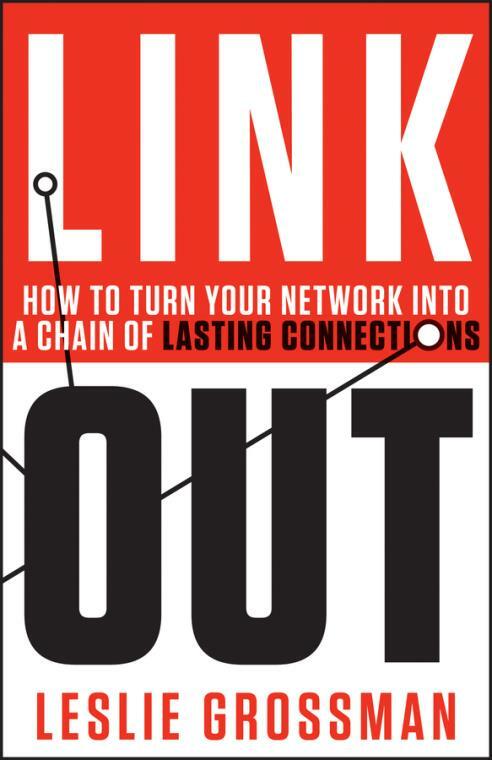 Through face–to–face interactions, Link Out provides a strategy to develop your network into meaningful connections. A perfect resource for each of us no matter the stage in life or career." "Leslie Grossman′s book Link Out is a vivid demonstration of her prowess in building communities, empowering leaders, and facilitating key relationships. Her notion of entourage,′ the circle of people committed to your commitments, makes Link Out a must–read and is critical to fulfilling career and life success." LESLIE GROSSMAN is the Chief Connections Officer (CCO) of Cojourneo.com and a leadership consultant and speaker. In 2002, Grossman cofounded, with Andrea March, Women′s Leadership Exchange (WLE) as a multimedia communications program with conferences around the country to address the needs of professional women and business owners. Prior to launching Women′s Leadership Exchange, Grossman founded and led Communications/Marketing Action, Inc. (CMA), creating public relations and integrated marketing programs for a broad spectrum of industries.